The clergy and Debtera (scholars versed in the liturgy and music of the church) lift their voices in hymn and chant just as it has been for over a 1,500 years when Ethiopia accepted Christianity. 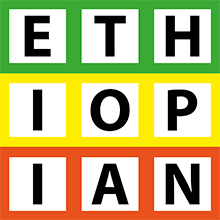 Ethiopia still retains the ancient Julian calendar in which Genna falls on 7 January (of the Gregorian calendar.) People in towns and villages typically dress up in their finest to celebrate. The Ethiopian name given to the Birth of Jesus Christ is Ledet, or Genna which comes from the word Gennana, meaning “imminent” to express the coming of the Lord and the freeing of mankind from sin. Genna festivities begin early in the day, as early as 6:00am when people gather in churches for mass. For the clergy it has begun much earlier, 43 days before, with the fasting period leading up to Genna. This pensive fasting period is required of the clergy and is known as the fast of the prophets. The fast of Advent is carried out to cleanse the body and soul in preparation for the day of the birth of Jesus Christ. Everyone stands throughout the worship service for up to three hours. The clergy and Debtera (scholars versed in the liturgy and music of the church) lift their voices in hymn and chant just as it has been for over a 1,500 years when Ethiopia accepted Christianity. This ancient rite culminates in the spectacular procession of the Tabot (the Tabot is symbolic of the Ark of the Covenant) and carried on top of a priest’s head). The procession makes its way three times around the church amidst ululation and chiming church bells, dazzling umbrellas and colorful attire of the clergy and a throng of Christians who follow the procession with lighted candles. Afterwards, people disperse to their homes to feast and the clergy break their fast. Food served at Genna includes Doro Wat and Injera, a spicy chicken stew eaten with the sourdough pancake-like bread. Often, tej, a local wine-like drink made from honey, accompanies the feast. Genna is quietly shared and celebrated in groups of friends and family. Gift giving is a very small part of Genna festivities in Ethiopia. Only small gifts are exchanged amongst family and friends at home. The joy of giving and sharing, extends beyond religious beliefs and spreads the spirit of peace on earth and goodwill to all mankind throughout the world.